19 August. A Japanese delegation arrives in Manila for a meeting with General Douglas MacArthur and U.S. officials to finalize surrender details. While travelling to and from the airport, the Japanese have to be protected from angry Filipinos threatening to attack them. At the same time, the Philippine Army begins demobilizing. Its units are no longer needed to invade Japan. 23 August. 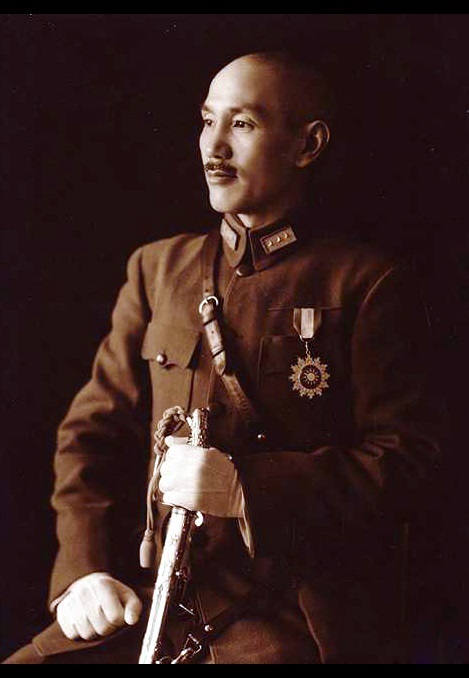 General Ho Ying-chin, supreme commander of Chinese government forces, orders Japanese generals in northern and eastern China to hold and defend all areas they occupy pending arrival of Nationalist forces. 23 August. After a comprehensive examination of the international and domestic situations, a meeting of an enlarged CCP politburo concludes that immediate civil war is unlikely. It thus adjusts its strategic slogan to ‘peace, democracy and unification’. Based on this decision, Mao soon confirms he will accept Chiang’s invitation to discuss China’s political future in Chungking. 26 August. Within days of receiving orders from London to re-establish British rule in the Crown Colony, its interned Colonial Secretary, Franklin Gimson, establishes an office in the Central district of Hong Kong and starts to maintain order and restore public services with the help of Japanese troops. A day later, Japanese Army HQ in China confirms that Japanese forces in Hong Kong should surrender to the British. 28 August. Colonial Secretary Franklin Gimson formally announces the restoration of British rule. Next day, this announcement is backed up by the arrival of a British fleet of aircraft carriers and cruisers led by Vice-Admiral Cecil Harcourt. This fleet enters Victoria Harbour on the 30th and reoccupies Hong Kong Island. Subsequently, more than 22,000 Japanese troops and civilians surrender to the British. 28 August. Travelling in the U.S. ambassador’s personal plane, Mao flies to the wartime Nationalist capital accompanied by Chou En-lai, Wang Jo-fei and U.S. ambassador Patrick J. Hurley. Hard bargaining takes place in the following six weeks, with disputes focused on the establishment of a coalition government, the scale of each party’s armed forces, and the right of control over the ‘liberated areas’. 29 August. With sovereignty over Taiwan returned to China and occupation of the island by Chinese government troops imminent, Chiang Kai-shek appoints Chen I as Chief Executive of Taiwan Province. In the 1930s, when governor of neighbouring Fujian province, Chen had expressed admiration for the fruits of Japan’s economic development on the island. By 1945, however, he is determined to bring Taiwan firmly within the Chinese fold. Although fluent in Japanese, he refuses to speak this language to local elites who cannot speak Mandarin. 20 August. In preparation for the Chinese occupation of Indochina north of the 16th Parallel, advance units of Chinese troops begin crossing into Vietnam. In the upper Red River region they encounter severe flooding and some Viet Minh resistance. 23 August. Upon securing the prized ports of Dairen and Port Arthur, the Soviets announce the end of Japanese resistance. In a two-week campaign, Japan has suffered its worst military defeat, with over 80,000 troops killed and more than 600,000 taken prisoner. Most of these will be sent to Siberia. The Soviets will delay their withdrawal from Manchuria until May 1946. In this period, they will strip Manchuria of much of its industrial base, shipping this back to the Soviet Union. The two ports will remain under joint Soviet and Chinese Communist control until 1955. 25 August. On his way to meet the commander of former puppet forces in the area, OSS Capt. John Birch is murdered by CCP troops near Suchow. The infuriated U.S. commander, General Wedemeyer, confronts Chu Teh immediately and five days later in Chungking he warns Mao and Chou En-lai of grave consequences, but he avoids a showdown; Birch seems to have provoked the incident. Later, Birch is seen as the first casualty of the Cold War and, in 1958, his fate inspires the formation of an ultraconservative, anti-communist society.